I'm playing a bit with 2.9.9 and to train myself I started writing some very small filters. This one is not ORIGINAL, i.e. has not been invented by me: I took a couple of two small existing filters (in .scm), combined into just one and ported into python. Comments, critics, suggestions are welcome. If someone is interested in the originals I attach here also those. They are the versions I have in my folders, menu has been modified, they will appear under BestFilters/Photo/Effects (I do not remember the original menu). My filter will appear under menu="<Image>/Diego/Ancillary2"
How is it different from the G'MIC Lomo effect ? 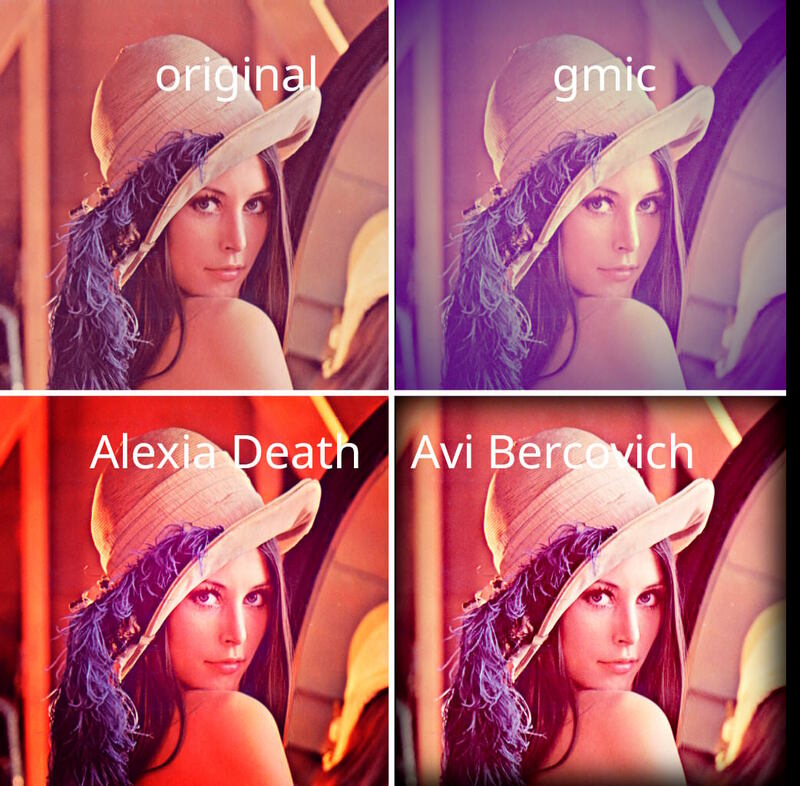 (03-11-2018, 01:23 PM)Espermaschine Wrote: How is it different from the G'MIC Lomo effect ? edit: Ran the plugin again with the compat-mode switch off. No errors, so future proof until the Gimp developers throw in some more weird code. (03-11-2018, 01:00 PM)dinasset Wrote: Hi. Otherwise, what is specific to 2.9.x in the code? About the FG/BG saving/restoring: some times ago I noticed (on 2.8) that the push/pop operations were not enough for them (OK for pattern, font, gradient), hence I specifically added those. Didn't try yet if that was a temporary bug on 2.8.